At Home In Carlsbad Realestate-Ese – What is a Counter Offer in Home Buying? Buying a new home is a tough job in our competitive market, whether you are a first time home buyer or an experienced one. And it’s true in Carlsbad as well as in all the other North San Diego County communities along the coast and inland. An important thing that all buyers need to know about is the counter offer. My first comment is that in our challenging marketing I believe the most important thing is to work with a Realtor knows the local market well, but even more importantly can help you create the right offer strategy that will lead to success. Along with that a Realtor’s role is educating you about the options available to you when making an offer, depending on your personal situation, and the local market conditions. Now right off the bat you may be curious about why you need to know what a counter offer is. No doubt you expect to make a good offer, and might even assume it will get accepted by the seller, right? In this time of multiple offers, your goal should be to make a strong and clean offer in order to have the best chance of it getting accepted. However, there is always the chance the seller will take issue with what you presented, or there may be a need for some clarification of terms and conditions. And when multiple offers come int the situation is even more complicated, in particular if the offer you make is below the asking price. The best option, of course, is for the seller to simply accept your offer. But the seller can also decide to make a counter offer to you. A Counter Offer mean your offer was not accepted as written, however the GOOD NEWS is that it DOES mean you are in negotiations with the seller; you should be pleased about that since some, perhaps most, of your offer terms and conditions were acceptable. I always tell buyers to NOT get offended when you receive a counter offer – rather, view it as an opportunity to have further discussion with the seller, through your agent, to try and reach agreement about the house you want! Here in the Carlsbad area the counter offer from the seller will be outlined on a standard written form, which is part of the California Association of Realtors database of required form. The counter offer will spell out any changes the seller wants to make on your offer – it could be a different price, a earlier or later closing date, clarification that the washer and dryer do not convey, or other terms. It’s important to bear in mind that everything else specified in your original offer remains the same – the only changes are the ones outlined in the seller’s counter offer. (2) accept the counter but make that acceptance subject to your own counter offer with other changes, such as another price; you can also suggest some other term or condition (e..g, the seller can do a rent back for a week to given them to move). This is where having a good agent (like me!!) to help you strategize what makes sense, especially if you want the house. (3) decline to go any further. Sometimes buyers, or sellers, just decide they are not going to discuss further, especially if they are too far apart, say on price. Negotiation between the buyer and seller continues until you are in agreement regarding the price, terms and conditions, and the final offer is accepted in writing, unless one of the parties declines to go further. That could mean several counter offers back and forth depending on the situation. Just be careful about trying to negotiate too much, especially in this market. The seller may decide to not discuss things further. Offer negotiations may end quickly, or they can take some time depending on the parties involved, the issues being negotiated, and other factors (e.g., people traveling or on vacation). I’ve seen negotiations completed in a matter of hours (faster, if the offer is accepted right away! ), but have also had a couple take more than a week. But in our sellers’ market things tend to move fast. Keep in mind a seller does not have to accept your offer, or to provide a counter offer. But if it’s a good offer chances are there will be discussion. You may also want to keep in mind that if the offer is low from the seller’s perspective, the seller might simply counter back at full price, or decline to counter you at all. And in the case of multiple offers you should not assume there will be a counter from the seller and you will have a second chance. Often that is NOT the case. It’s essential to have an effective strategy for making a strong and clean offer, based on discussion with your Realtor. In today’s market in many price points it’s likely there will be competition, so making your best effort up front might be most effective strategy. If I can help you think through your home buying requirements, and your wish list, in light of your budget and other factors, and answer any questions about the home buying process including offers and counter offers, please give me a call at (760) 840-1360. Then we’ll get started on finding you the right home and get you into escrow! Check out the video below provides a brief overview of the counter offer process. If we start to work together I’ll provide more details about developing an offer strategy and what happens in the offer process, and we’ll discuss how to deal with multiple offer situations effectively. 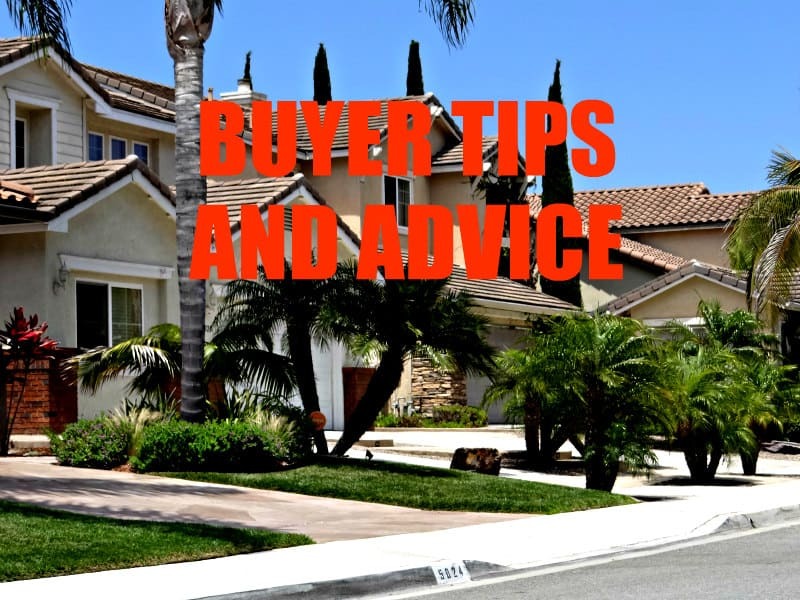 For more information on what you should know about buying a home, visit Home Buying Tips and Advice for my playlist of short videos on my YouTube Channel. Or just give me a call (760-840-1360) so we can discuss your specific home buying needs, budget, and questions you have about the home buying process. If you are relocating a distance, you might find my video series at Relocation Tips and Advice a big help with all sorts of useful information.